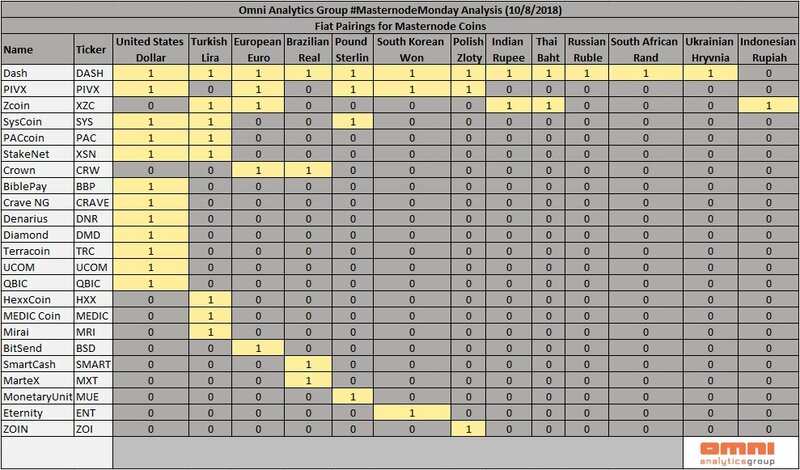 The research which sampled 23 masternode projects considered 13 fiat pairings – US Dollar, Turkish Lira, Euro, Pound Sterling, Brazilian Real, South African Rand, and Indian Rupee, amongst others. 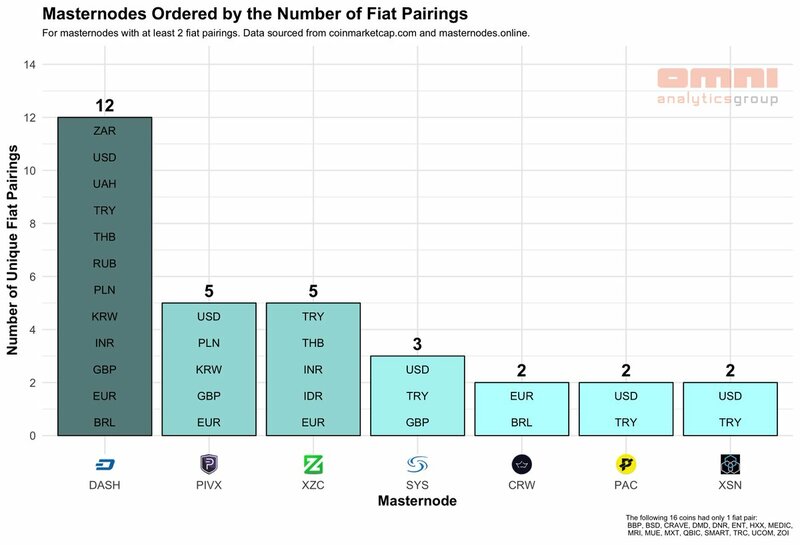 DASH has the highest fiat pairings with 12 fiat currencies, PIVX and XZC both have 5 fiat currencies linked to the masternode coins. What this means for masternode investors is that they can easily purchase their masternode coins without having to go through the typical process described above.